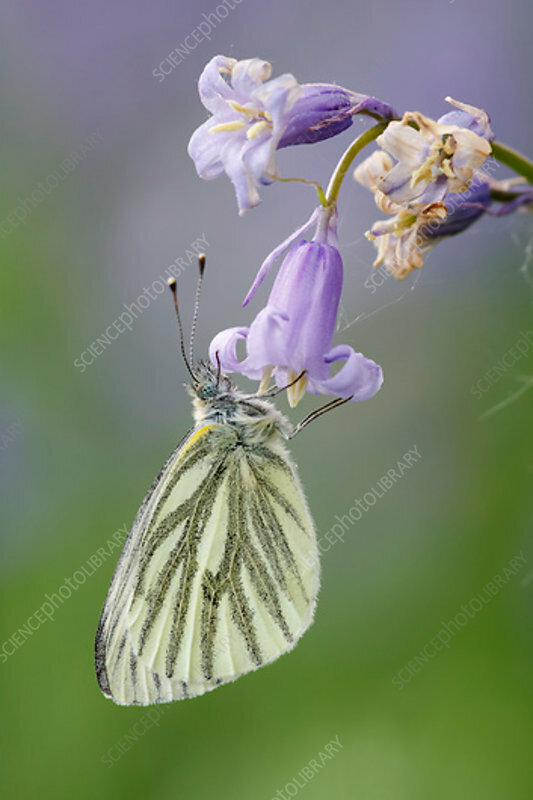 A green veined white (Pieris napi) from the family pieridae resting on a bluebell in the early morning. This butterfly is found throughout the Palearctic ecozone. This species is often confused with other species of white butterflies, being described as a cabbage white which is seen as a pest by some. Photographed in Somerset, UK, in June.